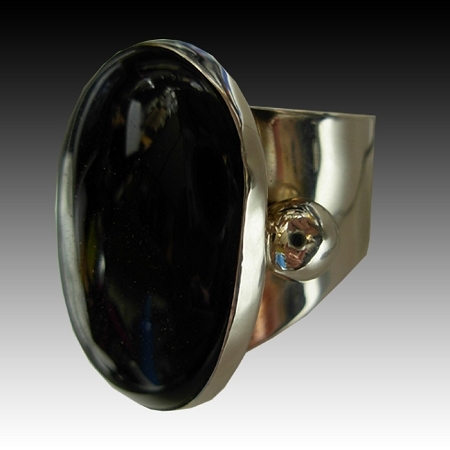 Handcrafted Sterling Silver Ring with a oval Black Onyx. 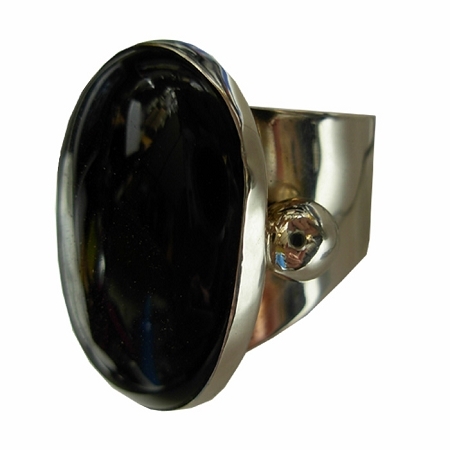 This fun ring fits very well on your finger and size is never a problem since it is custom made for you - a perfect compliment to our Black Onyx necklaces. This ring is a work of art and is signed by Aaron.